Jeff Degraff Innovation Library, 9780986230806, 86pp. For over thirty years Jeff DeGraff, the Dean of Innovation, has been researching, teaching, and advising leaders all over the world on how to effectively lead innovation. Many of his students and clients have gone on to be some of the most successful and celebrated innovators of our time. In the Certified Professional Innovator workbook, Professor Jeff DeGraff takes his groundbreaking program for developing world class innovation leaders and condenses the key ideas, methods, and best practices for making innovation happen into an easy to use "how-to" do it guide. 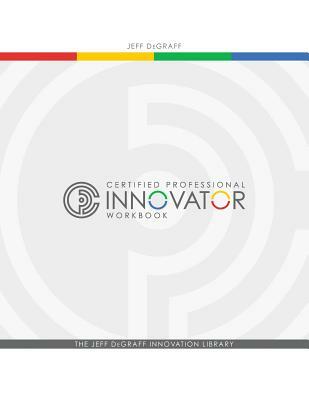 This workbook is designed to accompany the Certified Professional Innovator Certificate Program and help you master each of the key skills necessary to become an effective innovation leader. These tools and techniques already work for tens of thousands of leaders around the world and they will work for you.